”Bill Hayton’s splendid book lucidly covers these disputes in all their complexity from virtually every angle—historical, legal, political, economic and strategic.” … “he tells a good yarn, even when the topic is as dry as the United Nations Convention on the Law of the Sea (UNCLOS). Indeed, he may be the first person ever to have written an exciting account of a meeting of the Association of South-East Asian Nations (ASEAN).” Original review here. 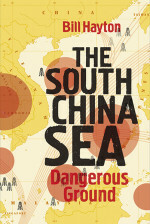 “excels in distilling the complexity and absurdity of such South China Sea disputes … into a manageable narrative. His book offers the best combination of accessibility and accuracy so far published on the disputes. It is not the most exhaustive study of the topic, nor does Mr. Hayton intend it to be, but it is meticulously researched. And it avoids many of the oversimplifications and biases that tarnish similar works written by those without Mr. Hayton’s background in Southeast Asia.” Original review here. “Bill Hayton’s superb and timely book, The South China Sea – The Struggle for Power in Asia, brings much-needed clarity to an issue that poses a threat to the region, if not the world. A BBC journalist and Southeast Asia specialist, Hayton makes full use of his trade-craft to spin a page-turning thriller packed with anecdotes, historical characters and eye-witness accounts.” Original review here. 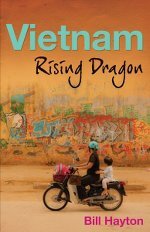 “Examining nearly every aspect of Vietnamese politics and society, from the economy and family life, to religion and the plight of indigenous minorities, Hayton gives a balanced, intelligent account of a country whose history so differs from our own.” Original review here. ”… enlightening and persuasive…” Original review here. “…he seems to have figured out how all the gears mesh in this Southeast Asian paradox, where economic dynamism exists alongside political control, corruption alongside discipline, and a youth culture alongside a nanny state.” Original review here. “…Bill Hayton’s insightful book.” Original review here. “This is a cleverly pitched book, one that will appeal equally to a businessman or investor seeking a briefing on Vietnam, an old Asia hand, or an inquisitive backpacker.” Original review here.